We recommend checking our live availability for this tour via the “book now” button to get the most accurate departure information. Starting from Hobart’s waterfront we head to the summit of kunanyi/Mt Wellington for spectacular views across Southern Tasmania including an elevated look over the beautiful city of Hobart. 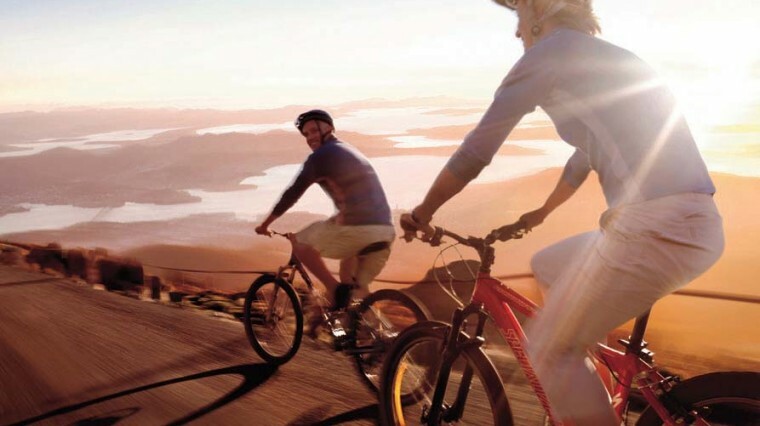 After soaking in the views we experience Tasmania’s ultimate downhill bicycle ride – 1272 metres to sea level. Along the way, this 21 km guided journey captures contrasting landscapes from sub-alpine and mountain rainforests to the vibrant waterfront of Hobart. For the more adventurous an optional off-road section is available. This tour is suitable for anyone who can confidently ride a bike and meets safety requirements of a minimum height of 150cm and maximum weight of 120kg. Daily departures at 10am & 1pm from Hobart CBD. The Mt Wellington Descent Departs from 4 Elizabeth Street, Hobart just opposite the Tasmanian Travel and Information Centre daily at 10.00am, 1.00pm & 4.00pm (4.00pm on select dates in December, January & February only). The tour takes approximately two and a half hours; the first hour is spent travelling to the summit and some time enjoying the view then being fitted for a bike and safety gear. The following one and a half hours include the guided cycle descent with several stops for photo opportunities and regrouping before finally arriving at the Hobart waterfront to finish the tour. All personal effects such as bags, handbags, cameras etc can be left in the support vehicle that follows the group whilst cycling. Enclosed footwear must be worn. Warm, suitable clothing is recommended as mountain temperatures can be very cold at times. This tour is suitable for anyone who can confidently ride a bike and meets safety requirements of a minimum height of 150cm and maximum weight of 120kg. As most of the 21km cycle is downhill, only average fitness level is required. Child rate available 8 to 15 years of age. Activity indemnity waiver form must be completed prior to participation. Children under 18 must have form signed by parent/guardian. 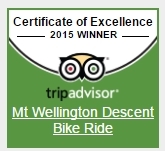 *Mt Wellington Summit can be affected at times by adverse weather conditions. In these conditions we cannot always guarantee views due to poor visibility and also may choose to commence cycle descent from a lower height to avoid strong winds. No refund for cancellations within 24 hrs of departure or no show. Should weather conditions become extreme we reserve the right to alter, delay or cancel a scheduled departure. A refund would apply if an alternative to a cancelled tour cannot be provided. Tour Itinerary: The tour takes approximately two and a half hours; from pick up to drop off. 1 hour is spent travelling to the summit and some time enjoying the view then being fitted for a bike and safety gear. 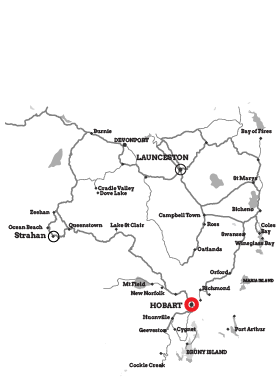 The following one and a half hours include the guided cycle descent with several stops for photo opportunities and regrouping before finally arriving at the Hobart waterfront to finish the tour. Amount of pedalling: For the first part of the ride there is very little pedalling required. We offer a short optional off-road section which has a couple of hills and a thrilling downhill which we coach our participants through. The last 5km of the tour is mostly flat so there is a need to pedal during this section on the way to the waterfront, but it’s still considered very easy. Tour distance: The entire cycling length is 21km from the summit right back to the waterfront. Fitness Level: This ride is designed for people of average fitness level. Participants should have good balance and be able to operate a bicycle safely including on public roads and maintain control to match their individual riding ability. 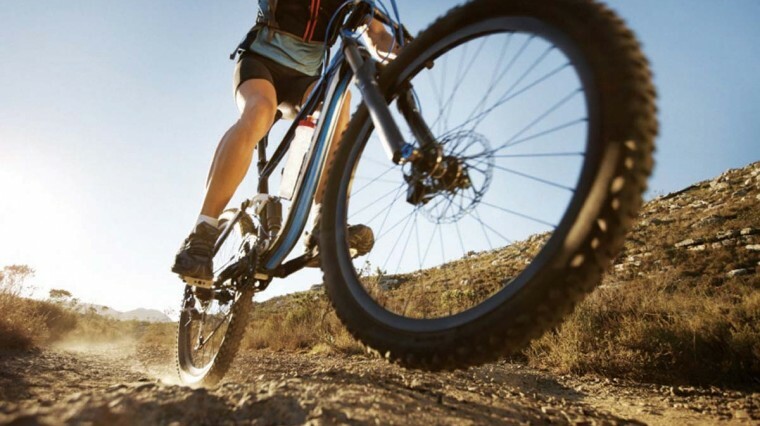 As most of the cycling journey is downhill, there is a small amount of minimal pedalling effort required at times on some relatively level terrain. What to wear: It’s on average 10 degrees colder at the summit of Mt Wellington than in Hobart, so we recommend participants bring or wear something warm for the summit such as a warm jumper/jacket and long trousers, but wears layers underneath as it can warm up quickly once we are off the mountain. Sneakers (runners) and walking shoes are recommended as the most comfortable footwear. Fully enclosed shoes are essential. Inclusions: Transport to the summit, cycle safety briefing, mountain bike with front suspension, helmet and safety vest, cycle guide and support vehicle. We also carry extra jackets and gloves for warmth if required and have drinking water available during cycle. Safety: It’s important to realise that whilst we endeavour to provide a safe experience, cycling in general does have certain risks. As much as our guides take all care and provide instruction and assistance where possible, we cannot physically ride the bicycle for you and therefore rely on your own experience and ability to operate the bicycle for your own safety throughout the journey. We do provide a safety briefing with all participants before each cycle descent begins. We place our cycling guide at the front of the group to control the speed of participants and the guide operating the support minibus follows at the rear of the cycling group with the hazard lights flashing and a sign on the rear indicating ‘Caution Cyclists Ahead’. We provide high visibility vests for use. We always ride on the left side of the road and regroup at strategic points to allow traffic to pass or regroup. The bikes provided are all well maintained with V-brakes or disc brakes depending on the model and are checked before every ride. "No one realises how beautiful it is to travel until he comes home and rests his head on his old, familiar pillow"